This is a simplified description of a typical ICE (Internal Combustion Engine) to electric conversion. It is not supposed to be fully comprehensive, rather, an indication of what is involved. For those who may want more information or who want to go further, contact us. There was plenty of room for our choice of electric motor. The vehicle was reasonably streamlined and light weight. 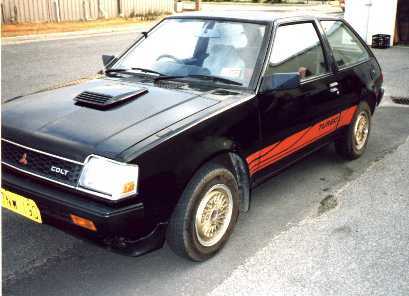 The body was in good condition and the vehicle was available at the right price. This is what we saw under the bonnet. A huge mess of hoses, cables and grease. So we pulled out the engine, exhaust system, radiator, battery, entire fuel system and a good deal of the electrics. We fabricated a frame from steel and hung it directly from the chasis. This would hold the battery box. 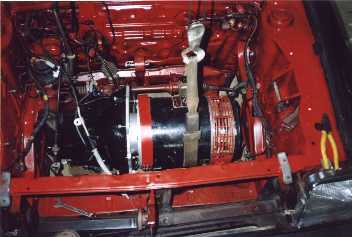 The motor was mated to the gearbox and mounted in place of the old grotty petrol engine. 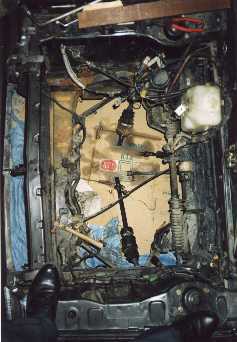 The flywheel and clutch were not used. The electric motor is about 350mm long and 300mm in diameter. 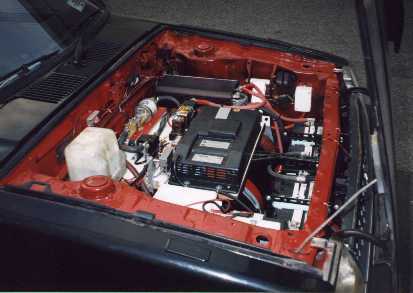 The charger, controller and associated control circuitry were put in place above the motor. 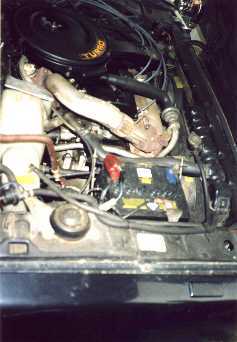 Two batteries can be seen in front of the motor. 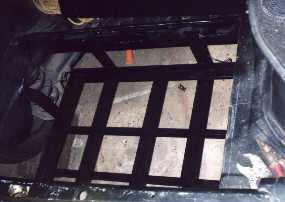 The rear battery pack was connected through to the front. 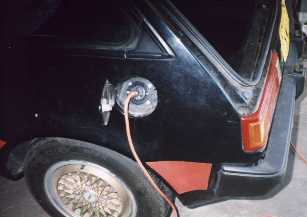 Connection for the battery charger was fitted in place of the old fuel tank inlet. Recharging is as simple as plugging in to any standard power point.